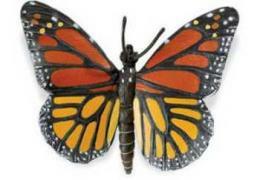 Butterfly Toy Mini Good Luck 1" Miniature sold individually shown in 3 poses is Good Luck Butterfly carry with you fun at Animal World®. 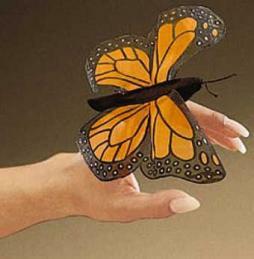 Featuring a super mini size this Good Luck Butterfly Mini Toy features excellent detail. Made of safe, durable, colorfast plastic this Good Luck Butterfly Super Mini is perfect as a gift, play fun, for decorating, and parties. Not recommended for children under 3. 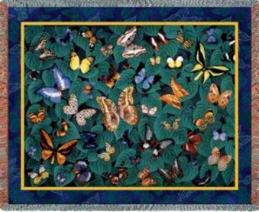 Shop our Butterfly Gifts at Animal World® page for all our Butterfly lover gift ideas.